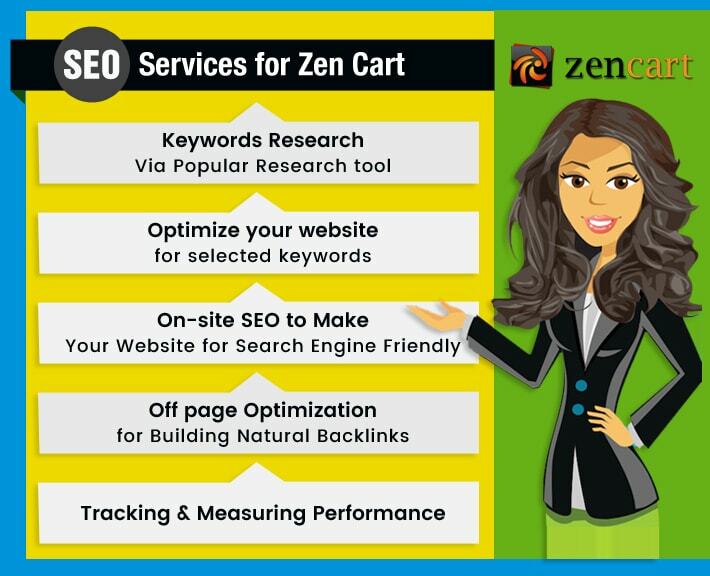 Looking for the best SEO services for your Zen cart website or want your Zen cart website to rank higher on search engines? If yes then you are at the right place. With a focus on SEO, Outshine Solutions is very proud to offer specialized campaigns for Zen Cart websites. Zen Cart is one of the most prominent open source online store management systems and is based on PHP and uses a MySQL database and HTML modules. It helps you succeed in your SEO strategy and lead more organic traffic. It features easy supports heavily modified Zen Cart shopping carts. Installation of Zen Cart SEO add-ons. SEO helps you to make your website ease to crawl. If you want many people to visit your Zen cart store, then you must optimize your website in that way it is visible on major search engines. Outshine Solutions provides SEO services for Zen cart and our technical SEO services includes converting dynamic URLs to SEO-friendly static URLs, using structure mark-up, optimize website speed, image optimization, meta tags etc. We, at outshine solution, provide the quality SEO service. We have a team of professional and dedicated SEO experts that will provide the right SEO services for your Zen cart site. We always stay loyal to our clients from the start to the very end of the project. Our professionals optimize your Zen cart store in such a way to let your users get amazing shopping experience with easy web site accessibility to buy products and services. Submission of corroborated worldwide Google Sitemap to search engines like Google, Bing, Yahoo. So, feel free to contact us and get in touch with our SEO professionals to get your perfect Zen Cart SEO Service plan and package well ready for you.